Andrea Bocelli is proud to return to South Africa where he will be performing with a full 70-piece symphony orchestra and choir. The concert will be split into 2 parts. For the first part, fans will get to experience Andrea Bocelli perform some of the most famous opera arias. The second part will be dedicated to his most popular hit and crossover songs for a once in a lifetime evening. 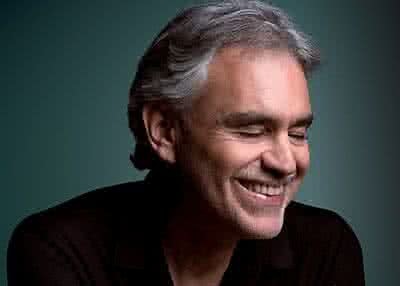 Matteo Bocelli will also be joining his father to perform the duet `Fall On Me`. The credit card holder in person must present the credit card used for the booking and ID document when collecting tickets. Tickets / receipts cannot be collected by a third party. You will need Adobe Acrobat Reader version 6 or higher - a free copy of the software can be downloaded at www.adobe.com. YOU MUST HAVE ACCESS TO A PRINTER TO PRINT. This performance is not yet open for bookings. No refund shall be issued in respect of a cancelled purchase unless the original Ticket(s) are returned. Exchanges and upgrades allowed for this performance. No downgrades. Exchanges between dates are allowed after 30 January. Exchanges for website bookings can only be facilitated after 30 January. NO box office available for collections or sales. Tickets MUST be collected at any Computicket, Shoprite, Checkers or Checkers Hyper store before the event. All tickets to be paid within 72 hours. Children and babies are NOT allowed on laps and there are no discounts available for them. Passouts will NOT be issued. You will need Adobe Acrobat Reader version 6 or higher - a free copy of the software can be downloaded at www.adobe.com . YOU MUST HAVE ACCESS TO A PRINTER TO PRINT. Wheelchair Seats are SOLD OUT. 1 hour 50 minutes, including 20 minute interval. VIP Polo Pavilion is wheelchair friendly and easily accessible. VIP Polo Pavilion has a special parking area and toilet facilities for disables patrons. Park and Ride. Sports24 Taxi's promoted.